UI for Windows Universal is not a quick port from another platform. Built from the ground up, it runs on both Windows 8.1 and Windows Phone 8.1, utilizing all of the new features of both operation systems. 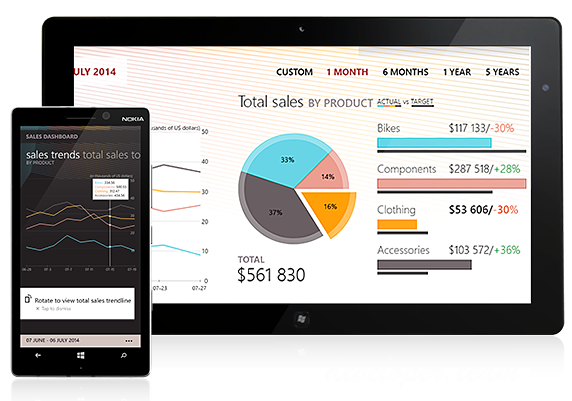 For example, the Chart control integrates seamlessly with the brand new Notification Center in Windows Phone 8.1. 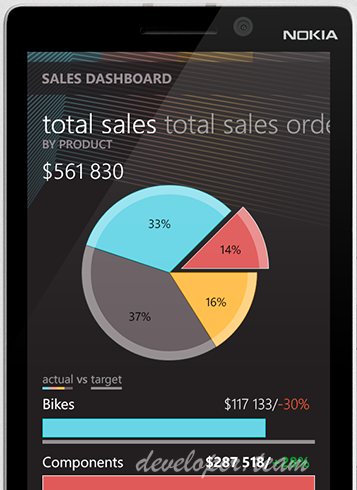 No matter if you are developing a Universal Windows app for a phone or for a tablet, UI for Windows Universal provides great UI across all Windows devices, allowing you to spend more resources on your app's functionality rather than on the design. 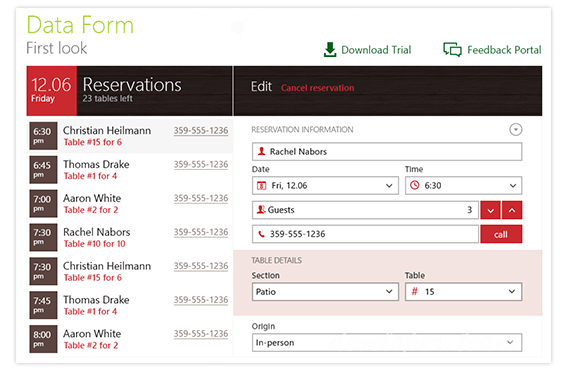 Telerik UI for Windows Universal adheres strictly to the Windows 8 and Windows Phone design guidelines facilitating your apps acceptance to the Windows Store. The controls include the proper CSS and expose the same APIs for binding and setting control options as the stock Windows 8.1 and Windows Phone 8.1 controls provided by Microsoft. The controls are specifically designed for the Window 8 and Windows Phone touch environment, enabling every single gesture and interaction with the touch screen. At the same time, Telerik controls for Windows 8.1 are keyboard sensitive when a keyboard or pen is available. 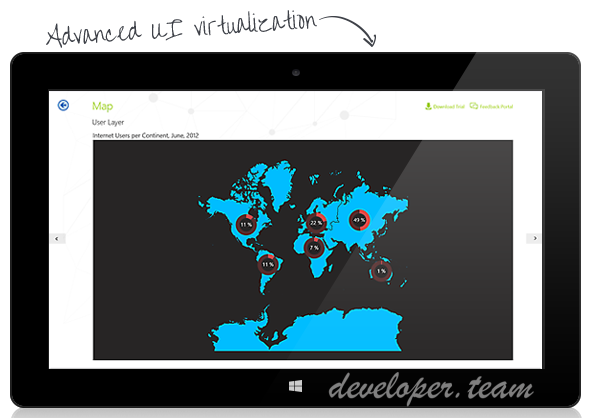 Telerik UI for Windows Universal uses advanced UI virtualization to ensure exceptional app performance. The flagship Windows 8.1 Grid component is fast and fluid, capable to process hundreds of thousands of records, even on low-end Windows 8.1 devices. 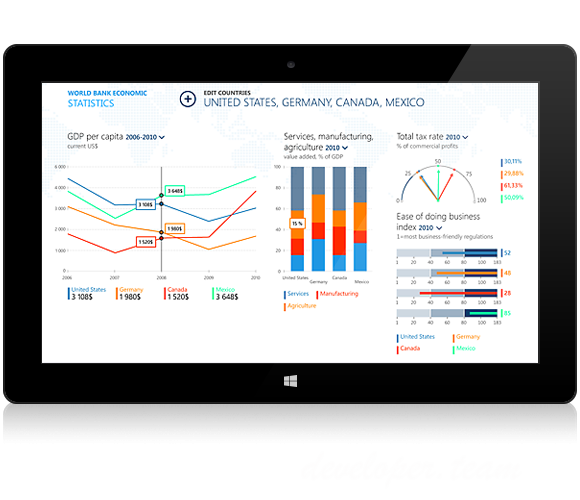 The Windows 8.1 Map control leverages Direct2D rendering to produce ultimate performance. 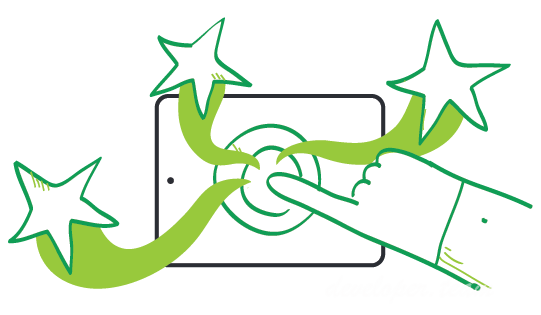 Your app can render thousands of shapes even on slower devices without compromising the rich user experience. The Expander control is very useful for apps that rely heavily on interaction and messaging. It displays a header and allows you, through tapping/clicking on the header, to toggle the visibility of an area that displays content. 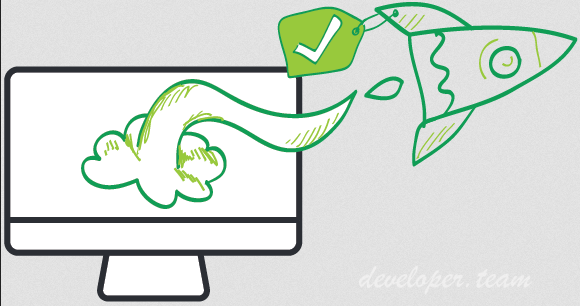 Thanks to Telerik Expander Control you will enable your users to expand or collapse conversations thus more easily following the entire communication without getting lost in hundreds of messages. Exception is thrown when the control is initialized. Content is not measured accurately when the Header and Footer are too large. IsOpen is not updated consistently when the animation is interrupted. Added Extended type of selection. The last point from a serie is not visualized because it is considered to be out of the viewport.